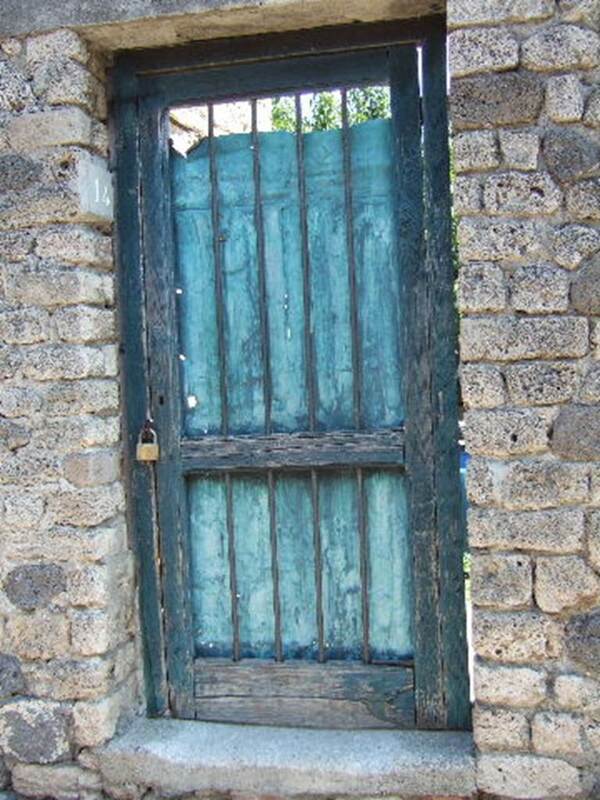 The entrance at I.9.13 is blocked by the cast of the ancient door. We entered and photographed this house by starting at I.9.14 and working through to I.9.13. The combined interior photographs of both entrances can be found here. 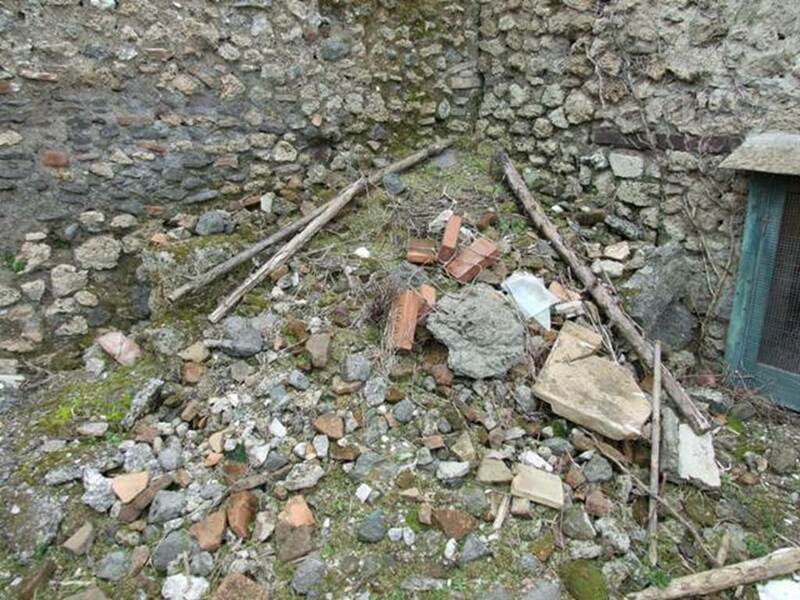 I.9.14 Pompeii. September 2005. Entrance. 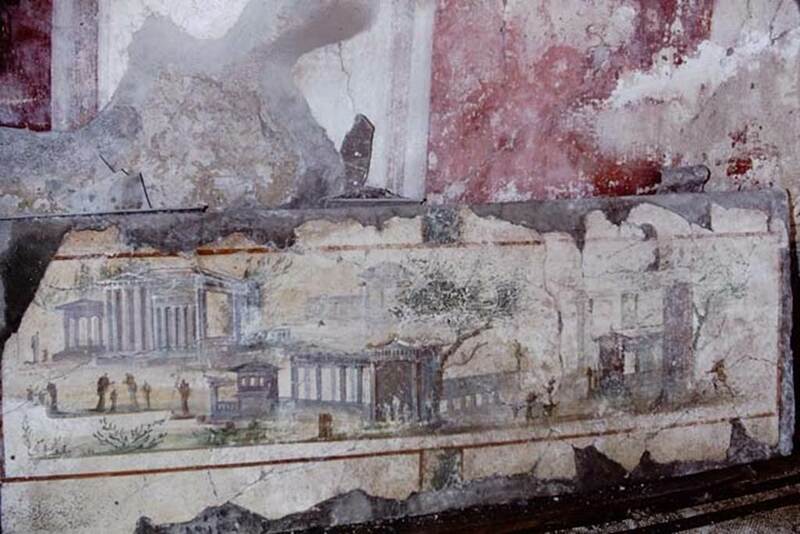 I.9.14 Pompeii. March 2009. Small room on north side of entrance. I.9.14 Pompeii. March 2009. Room 1, upper garden area. 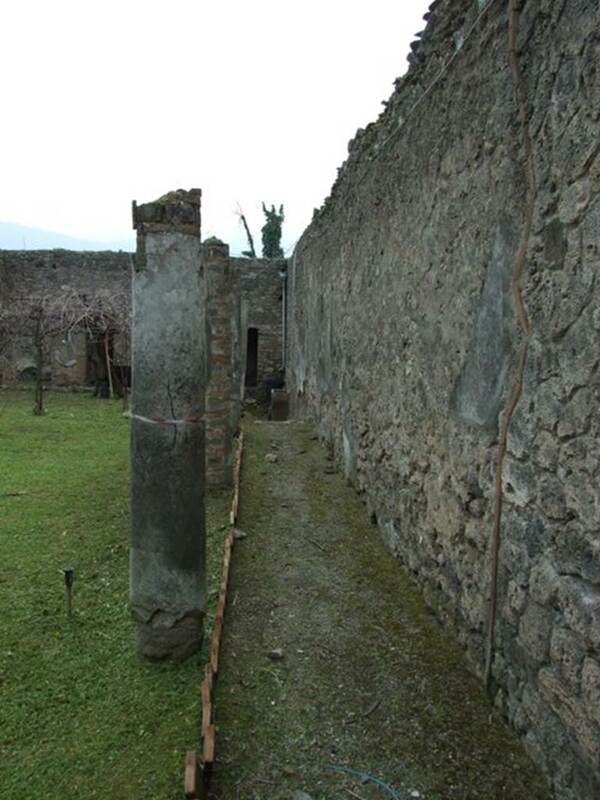 Remains of colonnaded portico on west side of upper garden area. I.9.14 Pompeii. March 2009. Room 1, upper garden area. Looking east. I.9.14 Pompeii. March 2009. Room 1, upper garden area. Looking south-east. 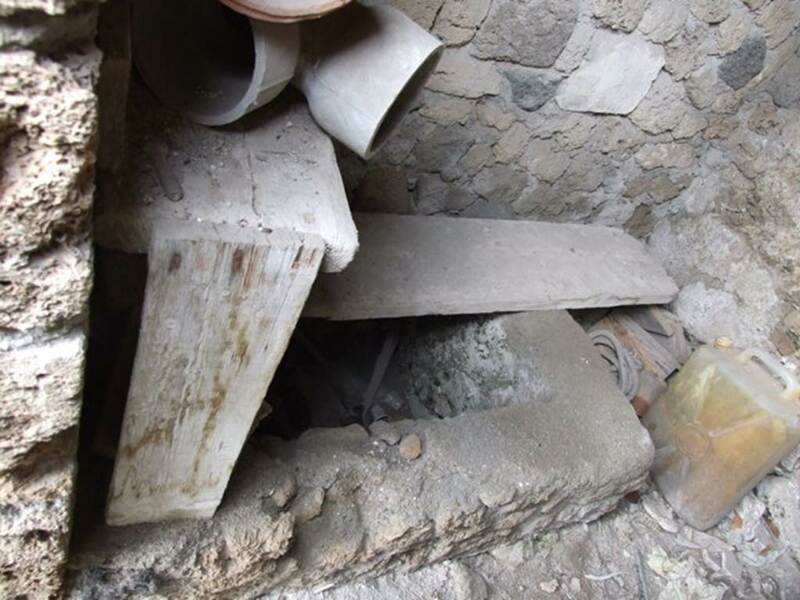 I.9.14 Pompeii. March 2009. 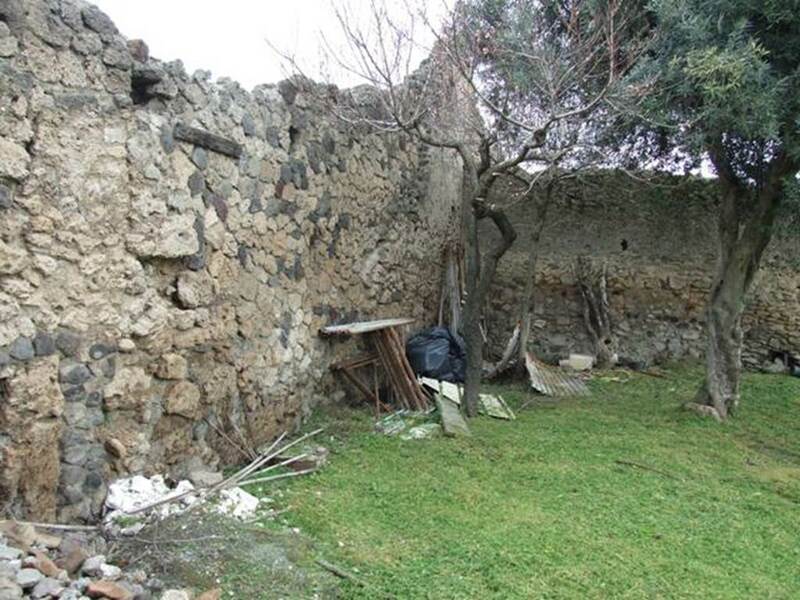 Room 1, upper garden area. South-east corner. 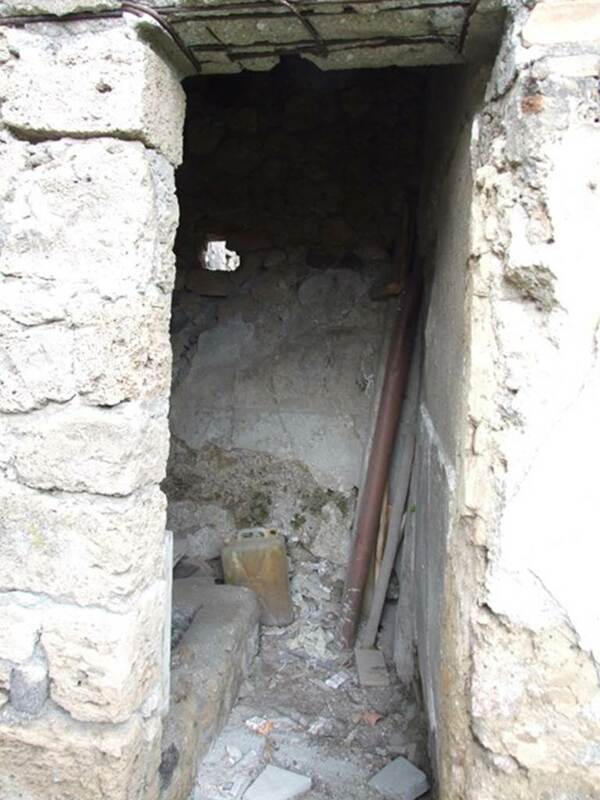 I.9.14 Pompeii. March 2009. Room 2, lower garden area at south end. 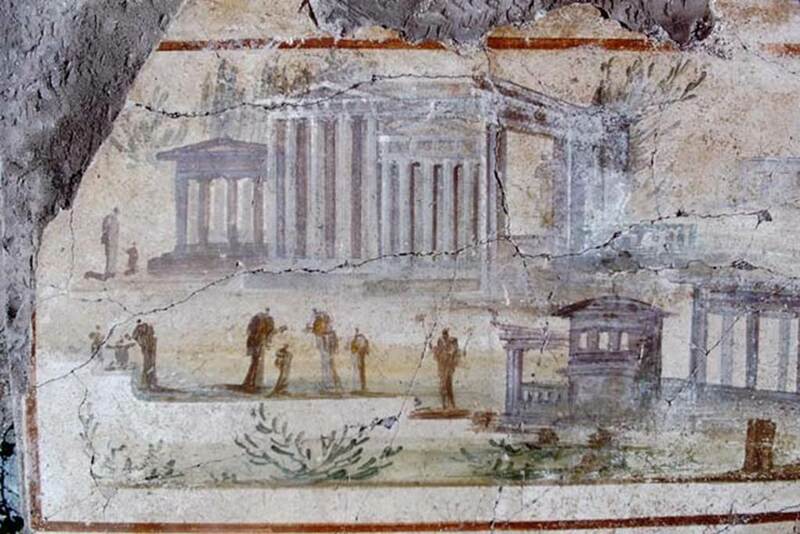 Landscape with three temples, found on the upper west wall of the west portico of the garden area at its south end. See Carratelli, G. P., 1990-2003. Pompei: Pitture e Mosaici: Vol. II. Roma: Istituto della enciclopedia italiana, p. 216. I.9.14 Pompeii., 1968. South end of landscape with three temples from upper west wall of garden area. I.9.14 Pompeii., 1968. North end of landscape with three temples from upper west wall of garden area. 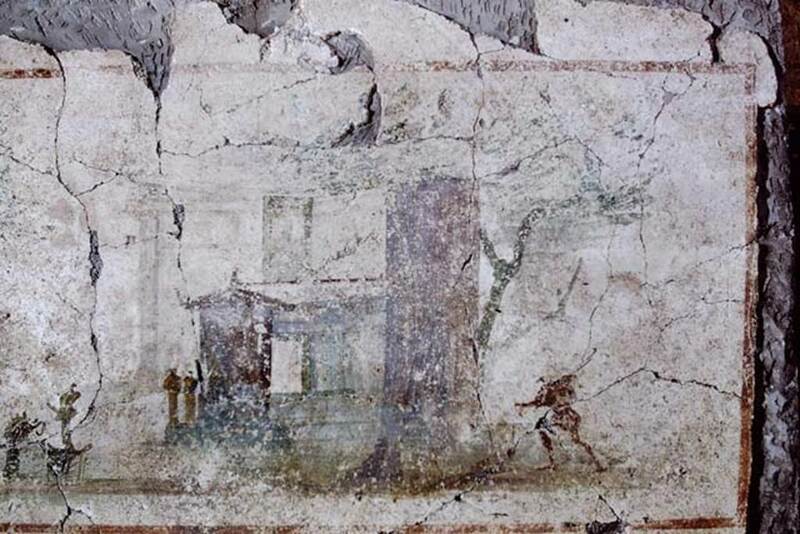 I.9.14 Pompeii. March 2009. Room 2. Lower garden area at south end. 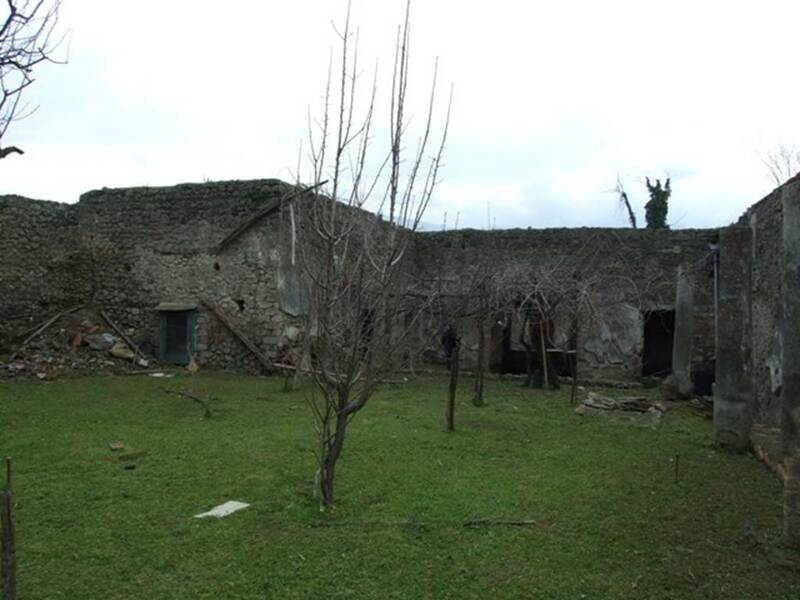 Looking south-east to rear of house. I.9.14 Pompeii. 2009. 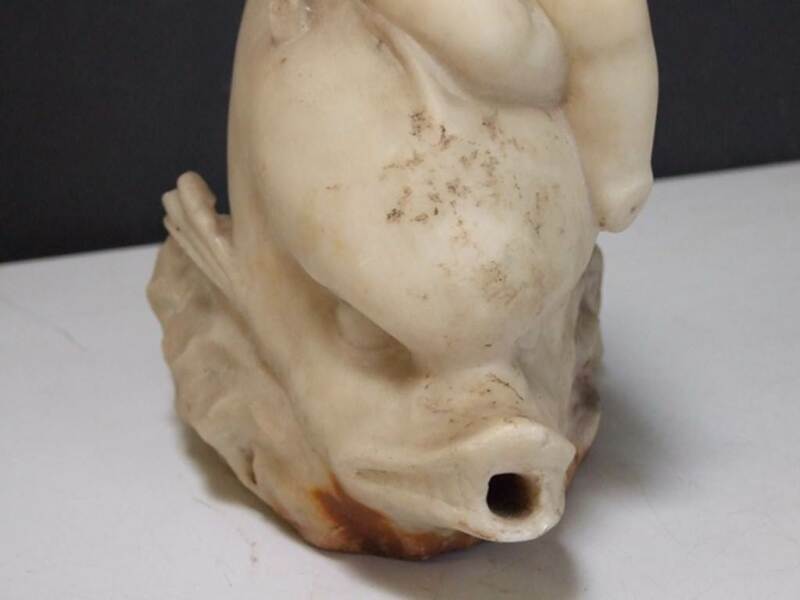 Marble fountain statuette. Amorino on dolphin with octopus. SAP inventory number 8126. Found in 1951. 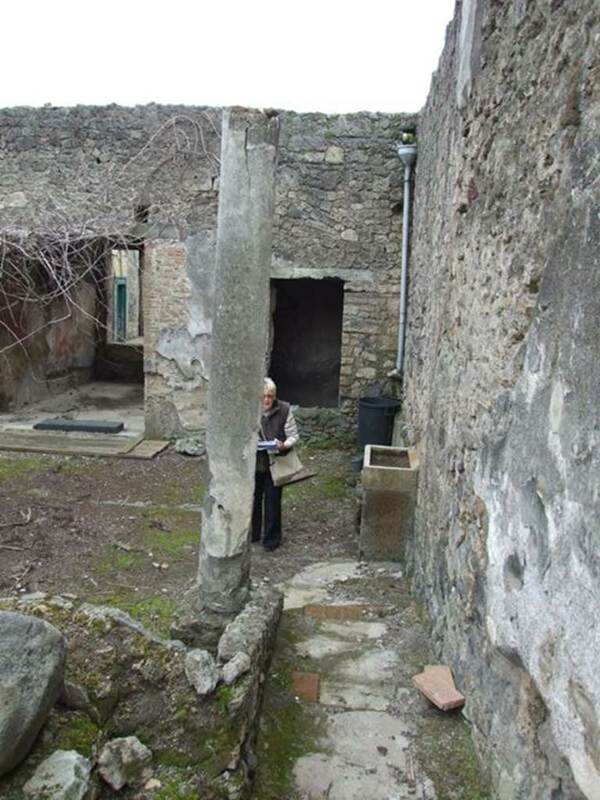 I.9.14 Pompeii. 1966. 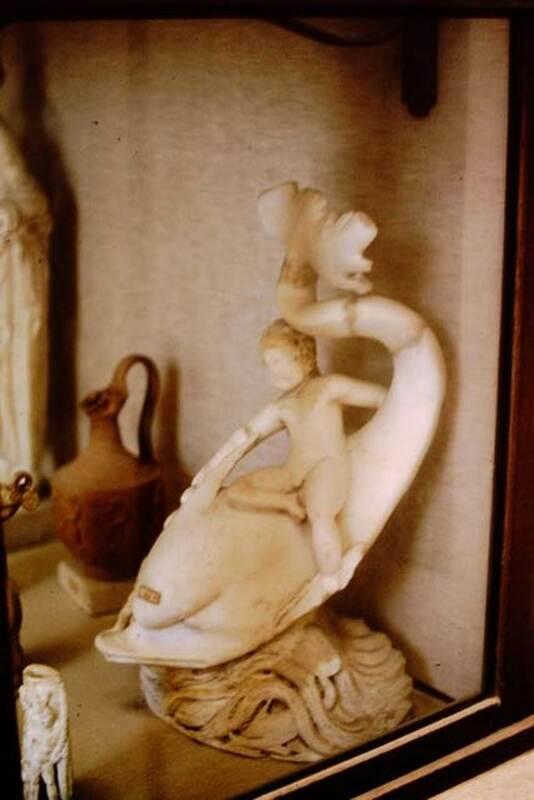 Marble cupid on dolphin with octopus. 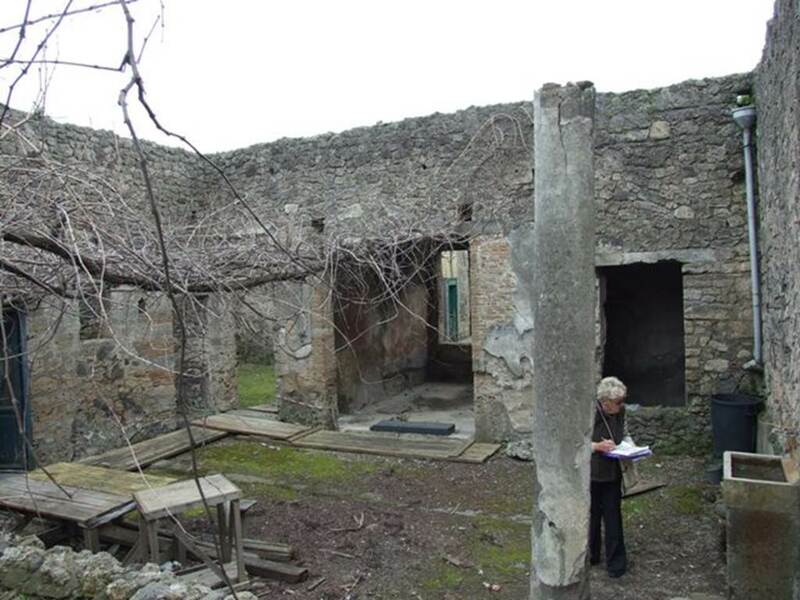 I.9.14 Pompeii. 1964. 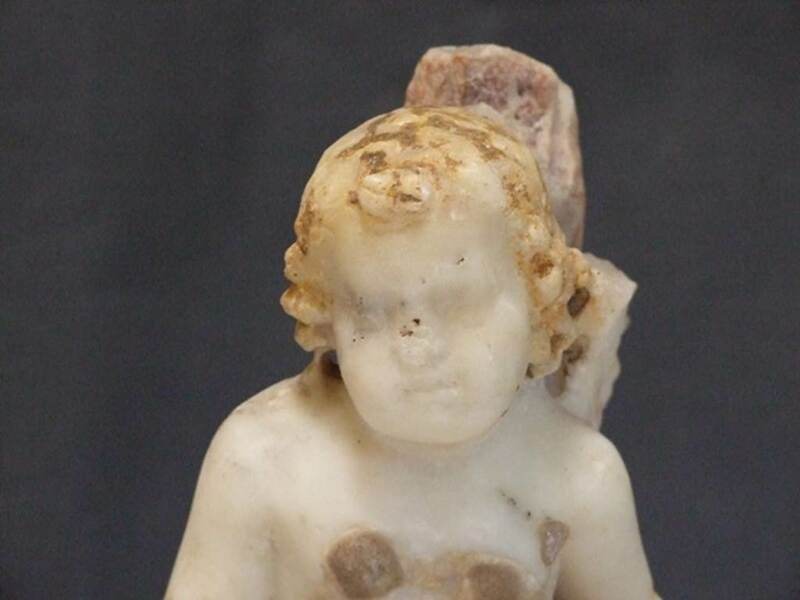 Marble fountain statuette. Amorino on dolphin with octopus. I.9.14 Pompeii. 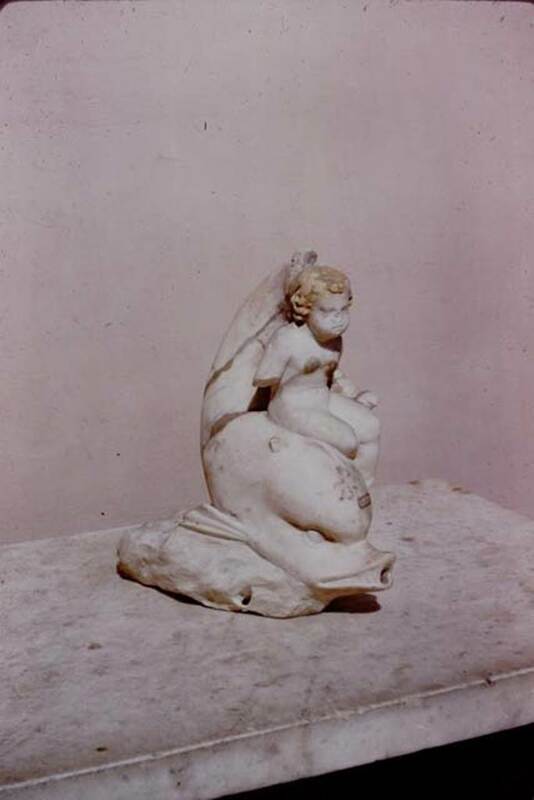 2009.Marble fountain statuette. Amorino on dolphin with octopus. I.9.14 Pompeii. 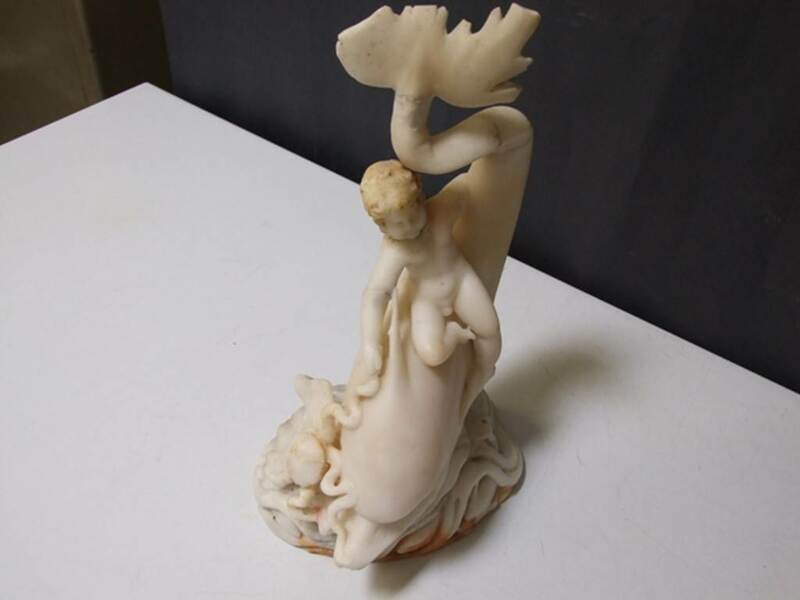 2009.Marble fountain statuette. Amorino with basket on arm riding on dolphin. SAP inventory number 8127. Found in 1951. I.9.14 Pompeii. 1966. 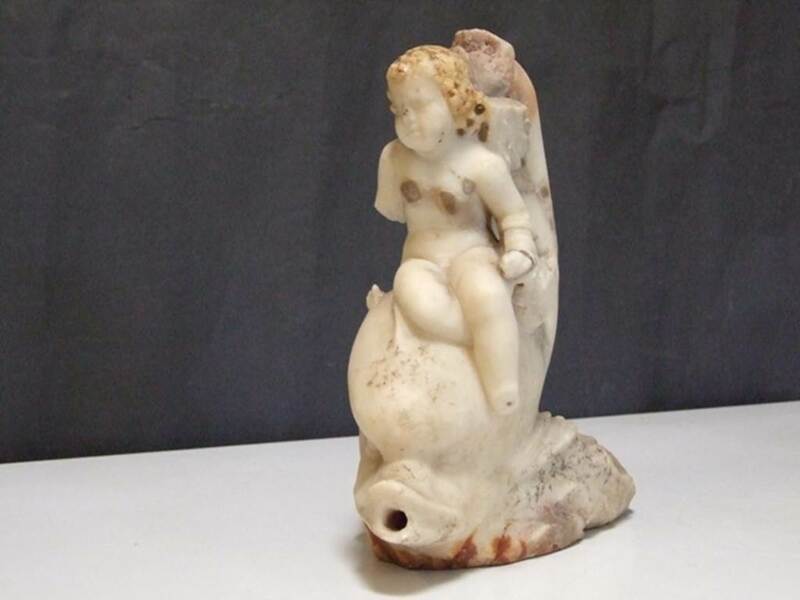 Cupid with basket on arm riding on dolphin. Photo by Stanley A. Jashemski. I.9.14 Pompeii. 2009. 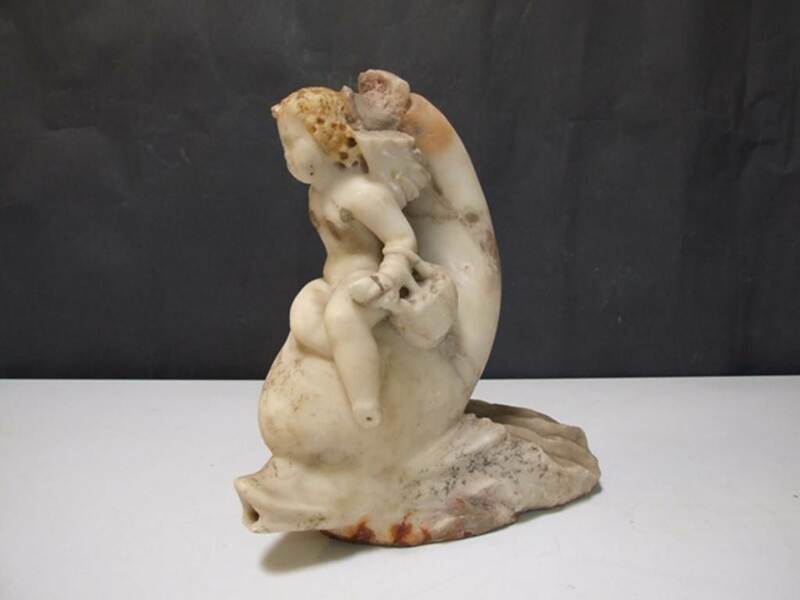 Marble fountain statuette. 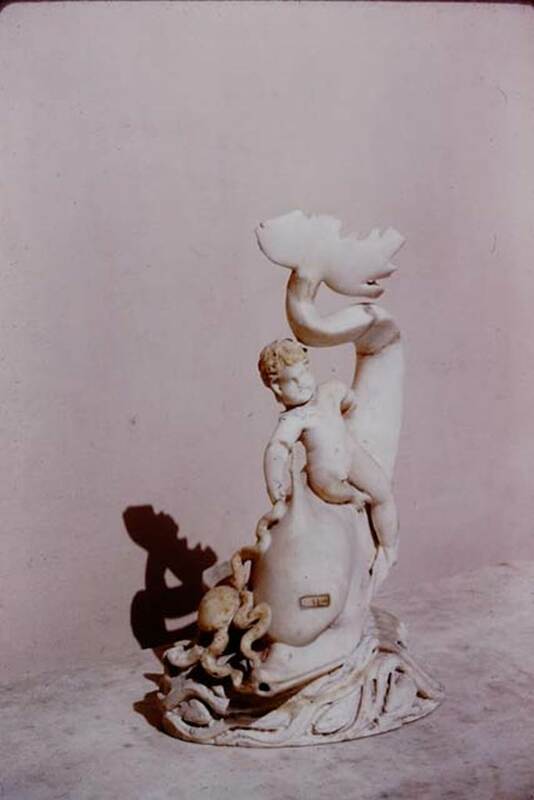 Detail of Amorino with basket on arm riding on dolphin. 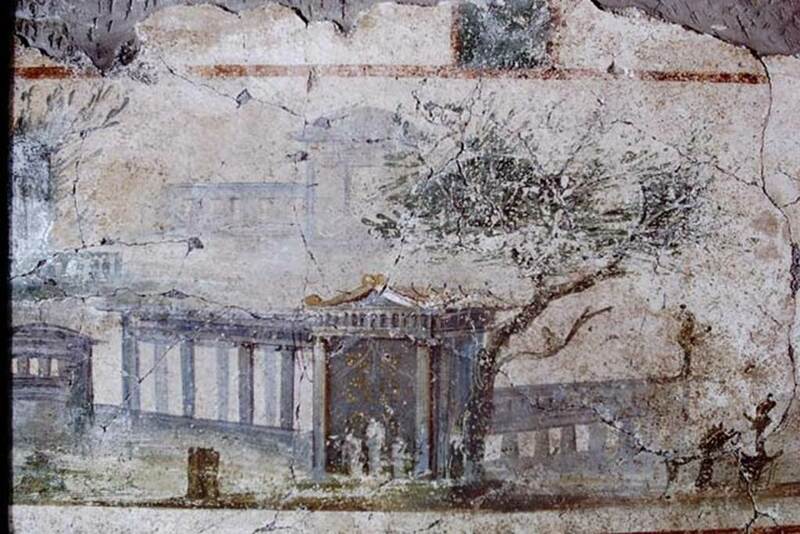 I.9.14 Pompeii. 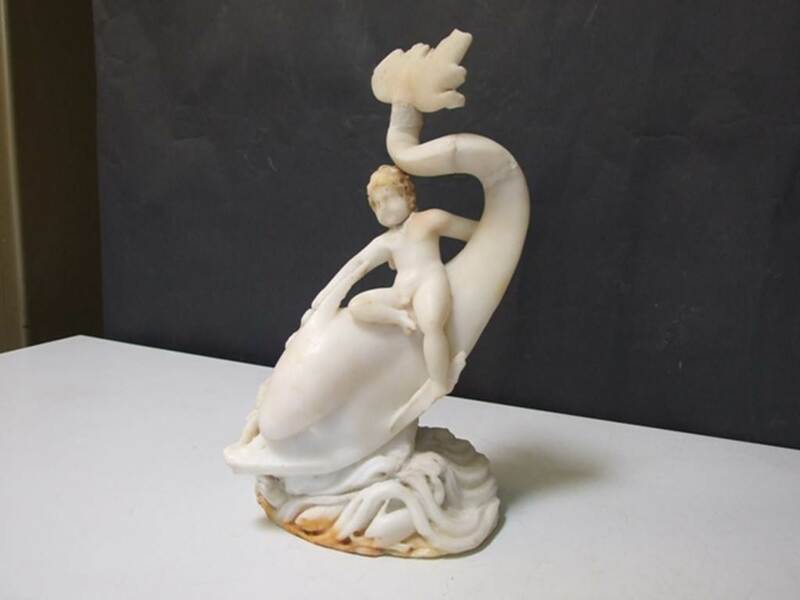 2009.Marble fountain statuette of Amorino with basket on arm riding on dolphin. 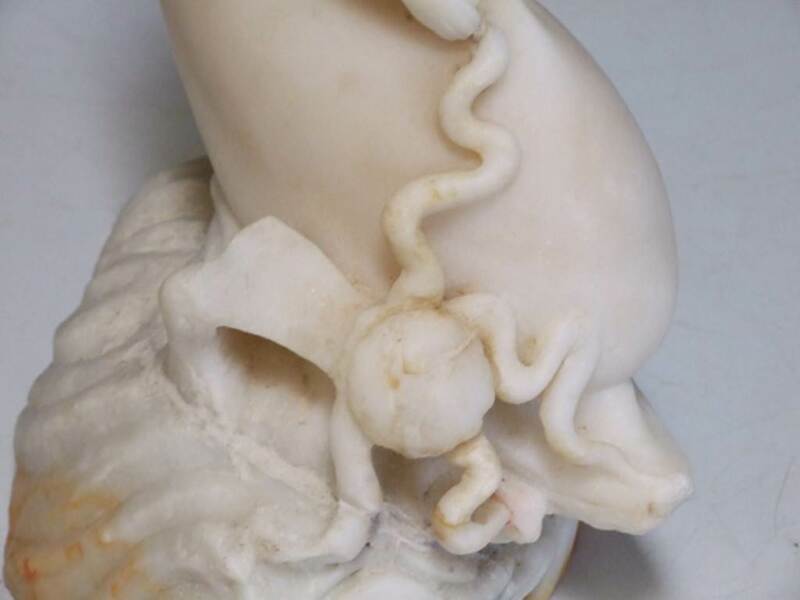 Detail of Dolphin. SAP inventory number 8127. Found in 1951.